Established in 1990, GRAND BAGMEN ENTERPRISE CO.LTD.as a member of FULL DELTA ENTERPRISE CO.LTD. 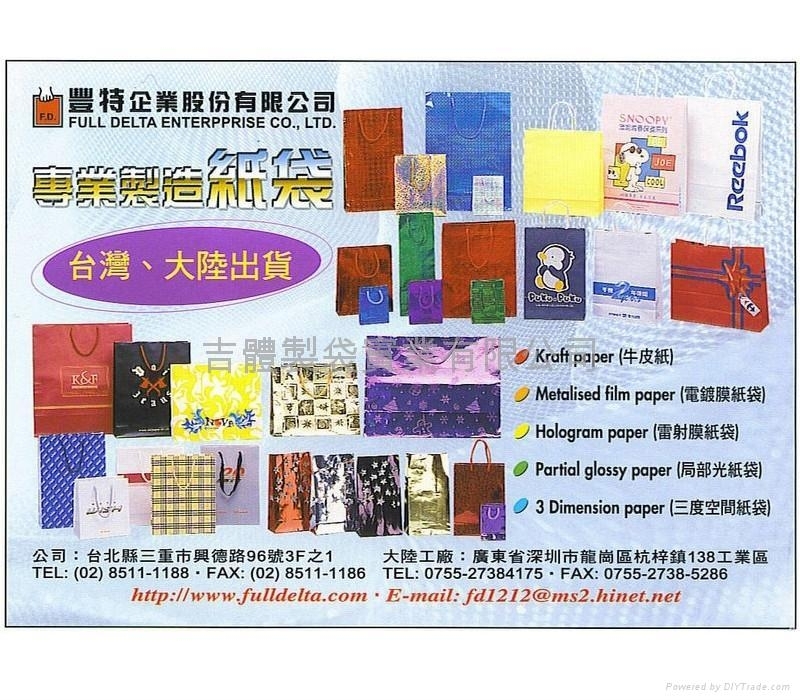 We are proficient in manufacturing paper bag products. 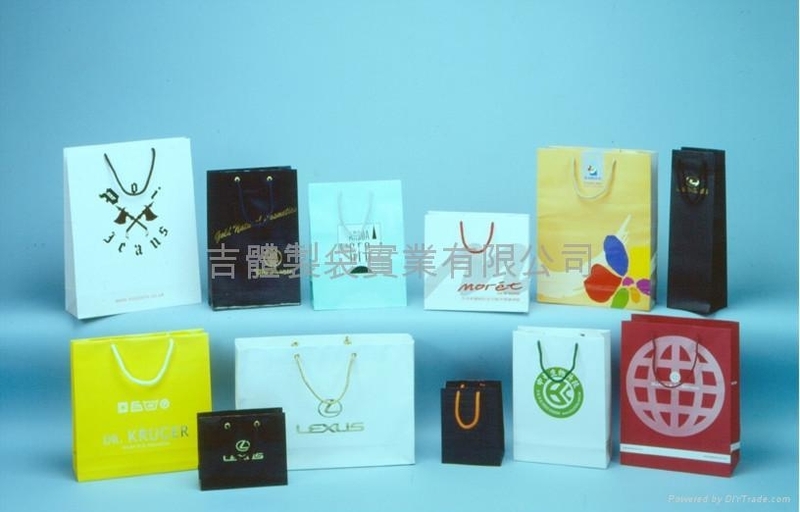 Our products includ the Kraft paper bags, white Kraft paper bags, coated paper bags(Mat / Gloss Laminated Paper bags ), Partial gloss laminating paper bags, hot foiled paper bags, Hologram Paper Bags, Metallic film paper bags, Responding to customer's requests , we launch into a wider range of products including special form of paper bags , Art paper bag, paper boxs , Bubble Mailers / Bubble Envelopes , Multi-wall bags. Stone paper. We are equipped with several full-automatic paper bag machines, we have exported lots to USA, Australia, New Zealand,Europe.